With the best selling GeoMetrix™ series the excitement of three dimensions meets the ease and portability of a pop up display. 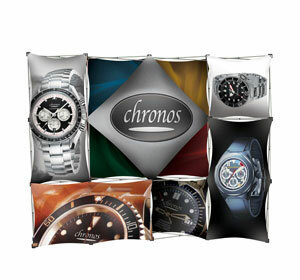 Use the interchangeable, dye-sublimated fabric banners to create an endless number of looks with just one display. Ideal for trade shows, special events and retail interiors. Choose from one of the eight popular kits below. If you have any questions about choosing the right GeoMetrix™ pop up display for your exhibit needs please call us toll free at 1-855-536-3385 or contact us by email. 90.5″ width × 90.5″ height, 18lbs, 9 graphics total. 61″ width × 90.5″ height, 12.25lbs, 5 graphics total. 31.5″ width × 90.5″ height, 7.25lbs, 3 graphics total. 90.5″ width × 90.5″ height, 18lbs, 6 graphics total. 90.5″ width × 90.5″ height, 17.5lbs, 6 graphics total.